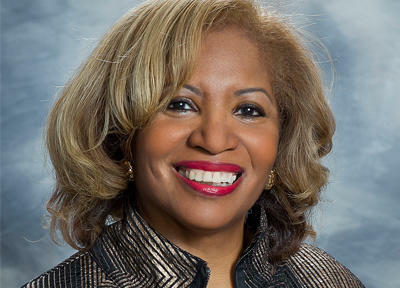 Jatrice Martel Gaiter serves as executive vice president, external affairs for Volunteers of America, one of the nation’s largest and most-comprehensive human service charities. Ms. Gaiter works to build national awareness for the organization and support its mission to provide programs and services to help people reach their potential. She provides managerial and strategic oversight of Volunteers of America’s national marketing, development, communications and public policy departments. More broadly, Ms. Gaiter is passionate about the nonprofit sector’s strength and relevance, which has been reflected in her work as immediate past board chair of the National Human Services Assembly, a blogger for The NonProfit Times and an active voice on Twitter as @Ms_Nonprofit. She is a frequent speaker on nonprofit management, health, social justice and women’s issues. Ms. Gaiter earned a bachelor’s degree in government and politics from the University of Maryland and a Juris Doctorate from the Syracuse University College of Law. She has completed several executive education courses including two at Harvard Business School: Strategic Perspectives in Non-Profit Management in 1998 and Women’s Leadership Forum in 2010. She has received numerous awards, including Washingtonian magazine’s 2006 Washingtonian of the Year. In November 2012, Gaiter was selected as one of the Washington Business Journal’s Women Who Mean Business awardees.